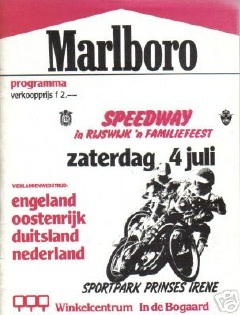 The programme cover suggests that this might have been an international 4-team tournament, but the meeting was reported in Speedway Star as an individual event. unless further information is found. 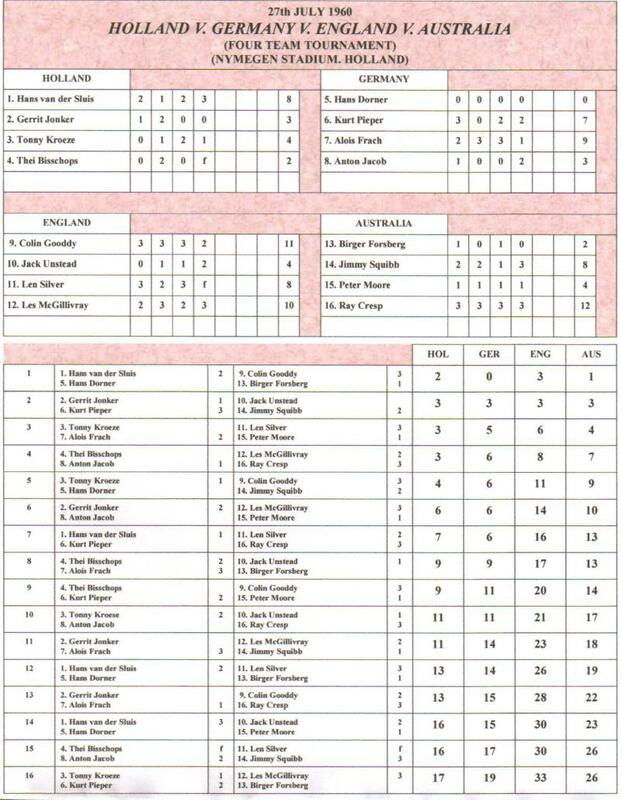 The England and "Australia" teams were comprised of members of the British club, Ipswich. 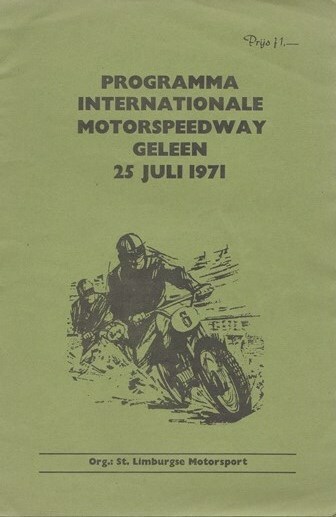 This match was very strange as all the Dutch riders raced each other in Ht.1, all the Austrians did the same in ht. 2, etc. 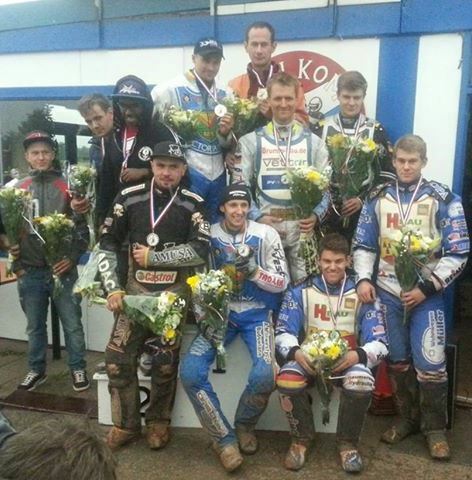 So after heat 4, each team had 6 points, not having beaten any opposing riders!